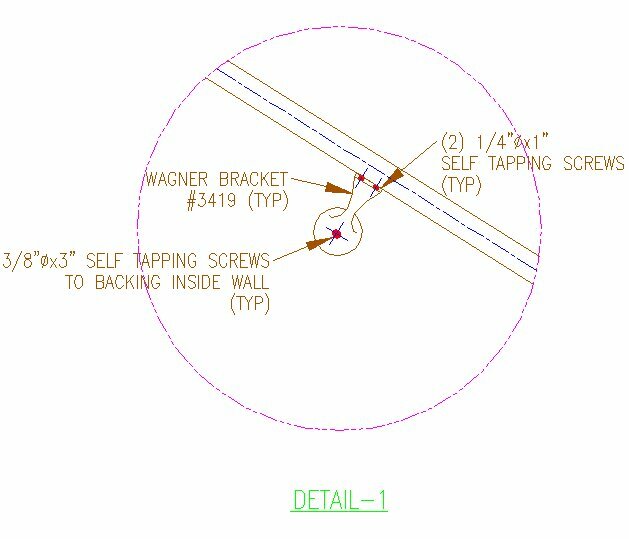 Detail Drawing of a Wagner-3419 Wall Mount. 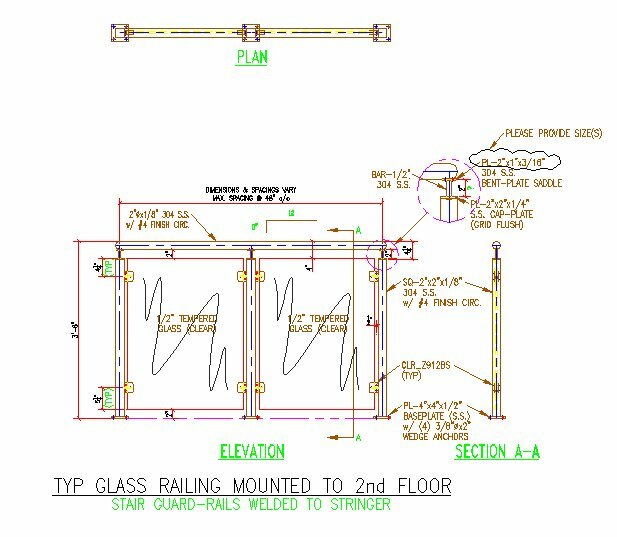 Section Drawing of a Glass-Clipped Railing. 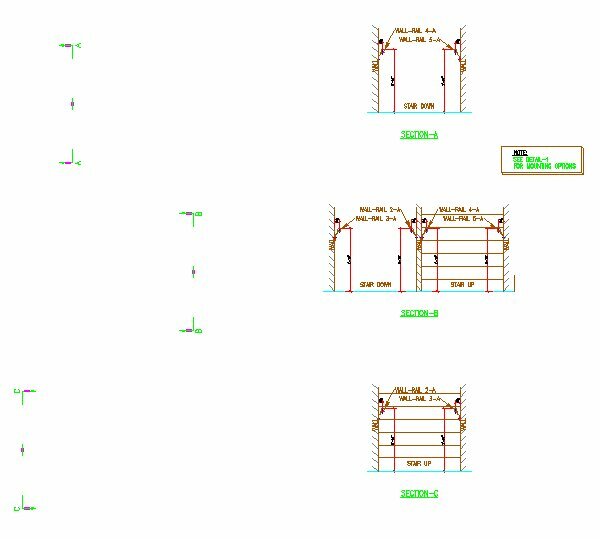 Section Drawing of Wall-Rails on a Stair. 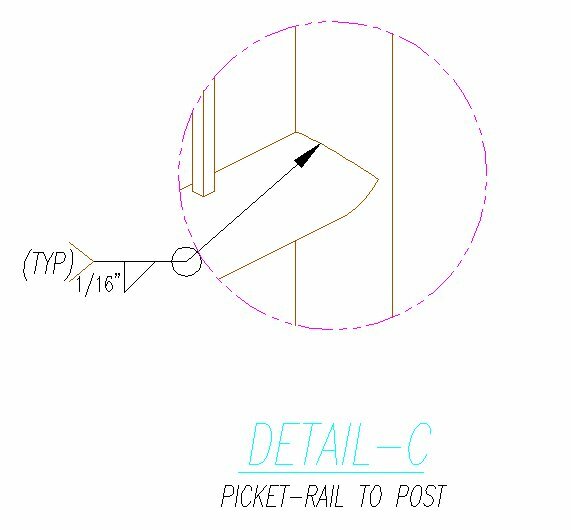 Detail Drawing of Round Picket Weld. 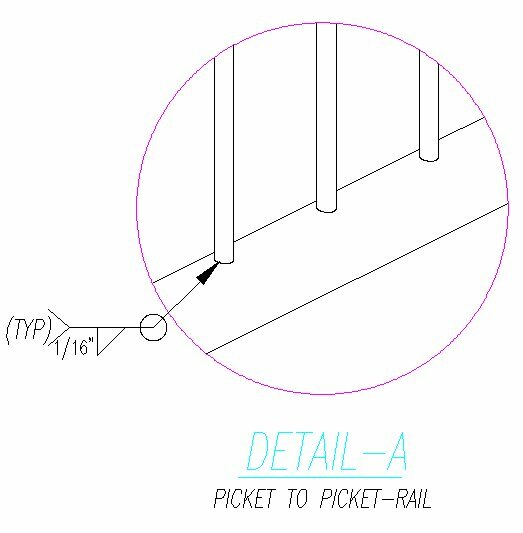 Detail Drawing of Picket-Railings to Post Weld (Round pickets). 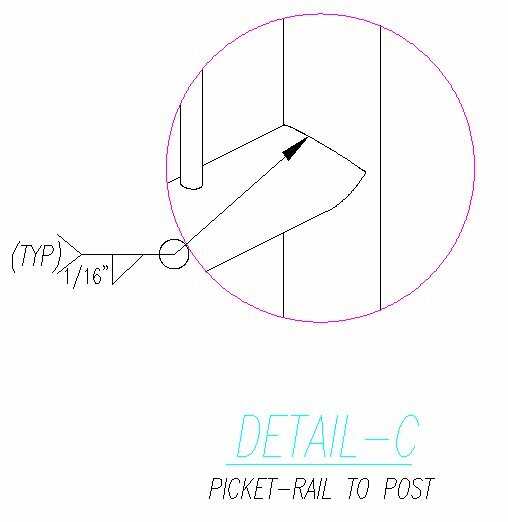 Detail Drawing of a Picket-Railing to a Post Weld. 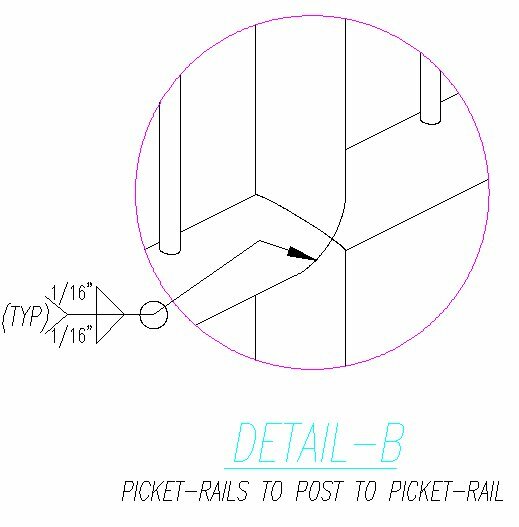 Detail Drawing of Square Picket Weld. 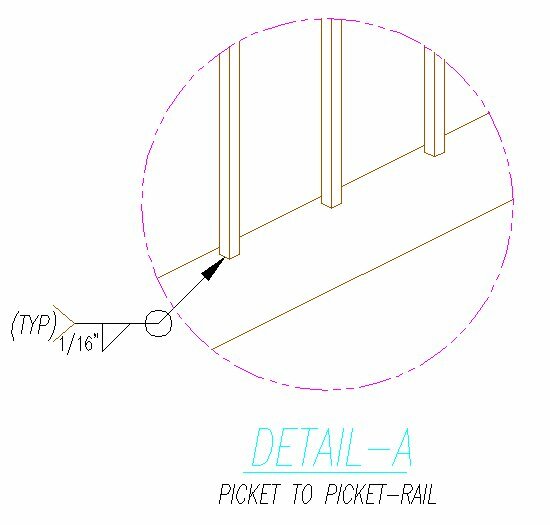 Detail Drawing of Picket-Railings to Post Weld (Square pickets). 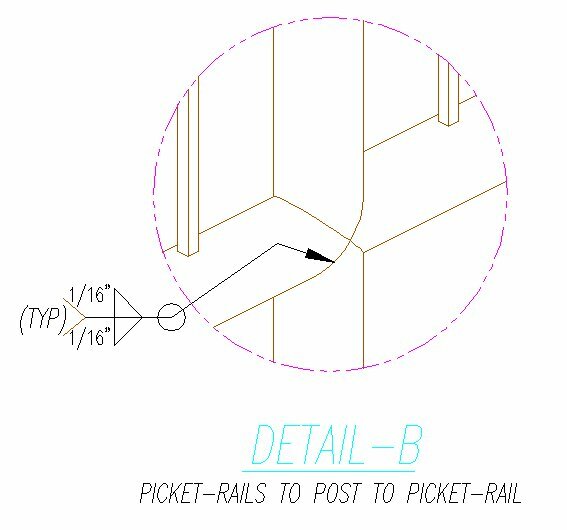 Detail Drawing of Picket-Rail to Post Weld (Square pickets). 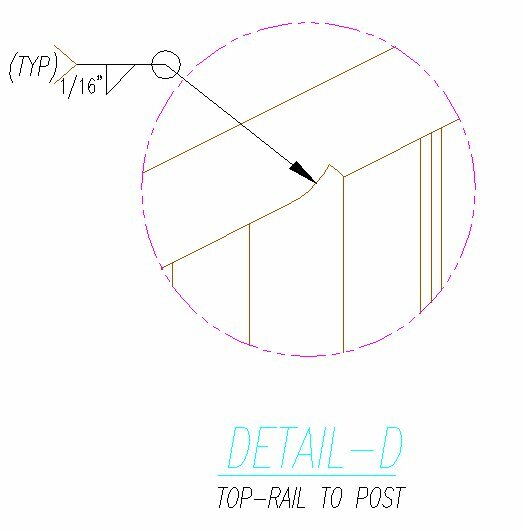 Detail Drawing of Top-Rail to Post Weld (Square pickets). 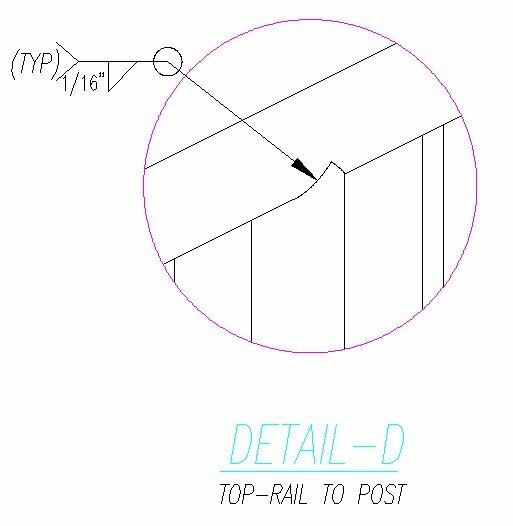 Detail Drawing of Top-Rail to Post Weld (Round pickets).